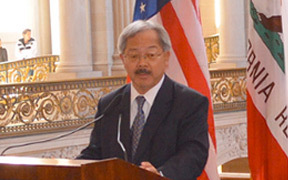 Mayor Edwin M. Lee today announced two bold steps in the City’s quest to get to zero new infections in the battle against HIV/AIDS: creation of the new HIV Community Planning Council and launch of a new campaign to increase the use of PrEP to prevent HIV. San Francisco is aiming to become the first city with zero new HIV infections, zero deaths from HIV and zero stigma. New infections continue to decline, with record-lows set for the past two years. In 2015, there were 255 new cases, down from the 309 reported in 2014. That is a significant drop from 2,332 at the peak of the AIDS crisis in 1992.